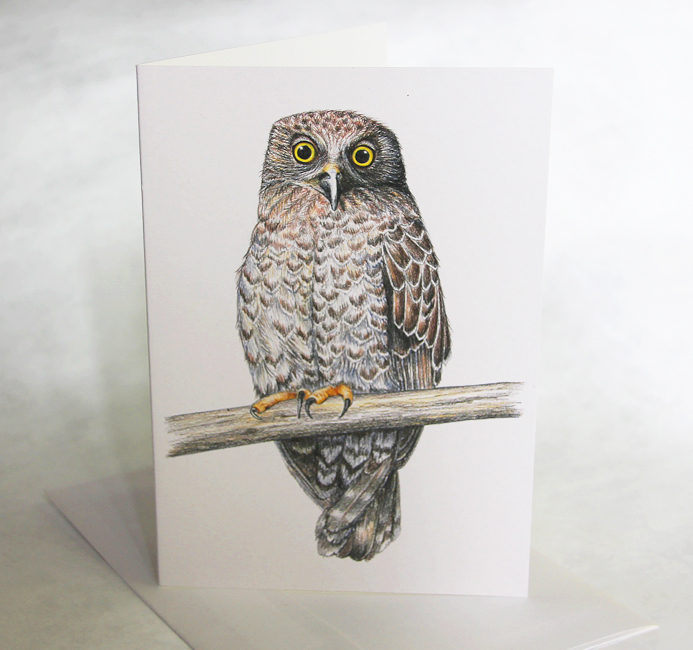 Powerful Owl wildlife art greeting card. Australian threatened species series. 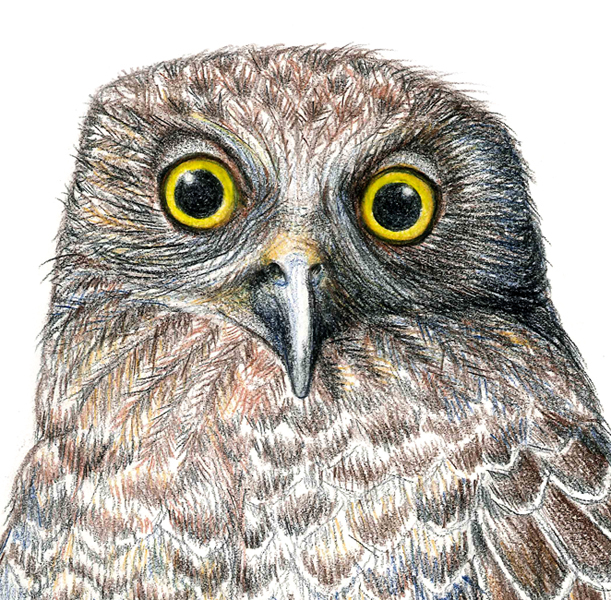 Australia’s largest owl, this nocturnal predator is found in eastern and south-eastern Australia, inhabiting a range of vegetation types, from woodland to open wet forest and rainforest. 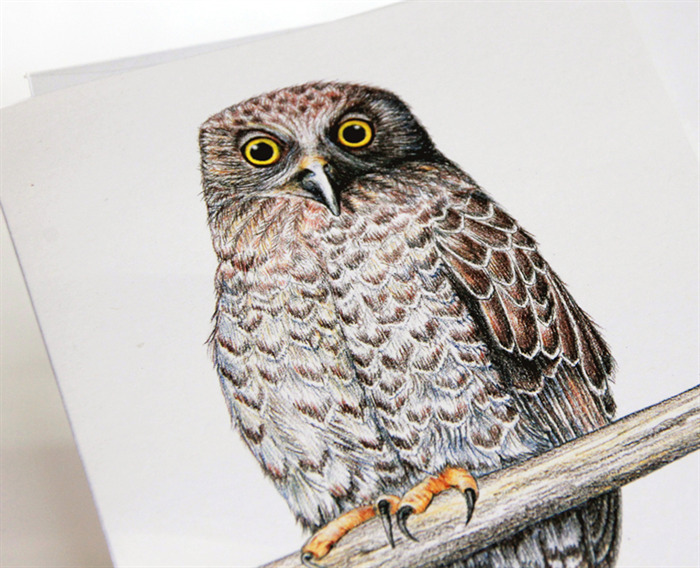 The Powerful Owl roosts by day, perched in the dense shade of a tree, often with the previous night’s prey held in its talons. It needs old growth trees to nest; so is adversely affected by land clearing.